We’re looking forward to the next D23 Expo! Check back here for more details. 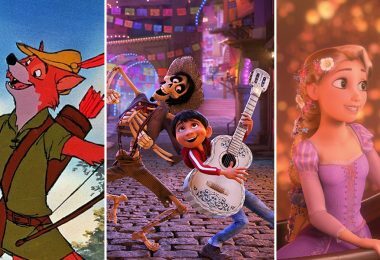 Tickets for D23 Expo 2019 are on sale now! 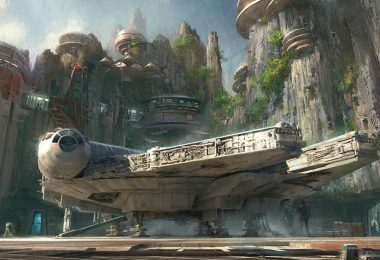 Visit D23expo.com for more information. There are specially priced children’s tickets available for those ages 3 – 9. 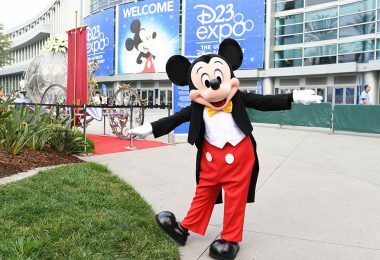 Children under three receive complimentary admission to D23 Expo. This year, discounted single-day and multi-day tickets for D23 Expo 2019 will be available exclusively to D23 Gold Members. D23 Gold Family Members can save as much as $120 off the price of admission, based on the purchase of four three-day tickets at the D23 Gold Member rate. Gold Members can purchase up to two discounted tickets and Gold Family Members can purchase up to four discounted tickets. Click here to join today! 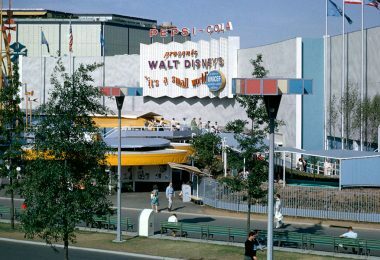 D23 Expo is held at the Anaheim Convention Center. No outside food, beverages, or coolers are allowed at D23 Expo. However, exceptions will be made for attendees with special dietary needs, including food allergies and baby food/formula. Food and Beverage options will be available on site. The D23 Expo accommodates Guests with special needs, including wheelchairs and service animals. For Guests who are hearing impaired, the sessions taking place in Hall D23 will have sign-language interpreters. Early entry at our session venues is not permitted. There will be seating available near the session venue entrance if you are unable to stand in the queue. You should join your group’s place in the queue once they arrive at the venue’s entrance to be seated. For additional requests or needs, please visit our D23 Expo Guest Services desk in the lobby or contact our Guest Services team at DLRAccessibilityServices@disney.com or call us during normal business hours (Monday-Friday, 6 a.m. to 6 p.m. PST) at (855) 323-5973. NOTE: Motorized scooters are not allowed in the seating area of Hall D23 or the Expo Arena. Scooters may be parked outside of the room after Guests have transferred to their seats. Strollers and wheelchairs are not available for rent. If you are bringing a stroller and would like to attend a seminar or presentation, there will be designated areas for parking your stroller. Please do not leave any valuables with your stroller, as the D23 Expo is not responsible for any personal items that are lost, stolen, or broken. Please arrange in advance a meeting place and time in the event those in your party become separated. We are unable to page for separated party members. We suggest that you write your cell phone number on your child’s event credential in case your child becomes separated from you. Please visit D23 Expo Guest Services in the lobby for assistance finding a lost child. 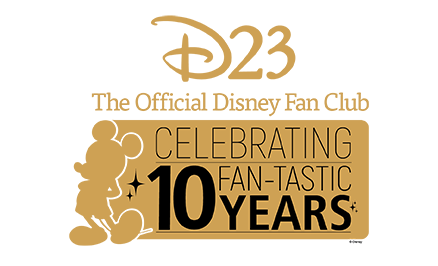 D23 Gold and Gold Family Members will be entitled to special benefits throughout the weekend including exclusive discounts and offers at select Disney retail and partner locations; a commemorative gift; and limited priority queueing for Hall D23 and the Expo Arena. Stay tuned for announcements about these magical opportunities in the coming months. Not a D23 Gold or Gold Family member? 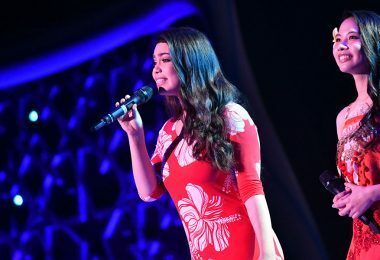 Visit D23.com/Join for more information. Alcoholic beverages are not sold and are not allowed at the D23 Expo. We ask that you bring no personal items to be signed. Artists will only sign event merchandise purchased on the day of the event. A valid D23 Expo receipt may be required as proof of purchase. Costumes should be family-friendly and may not be obstructive, offensive, or violent. Guests may wear masks. However, masks must not obstruct vision and eyes must be visible at all times. Guests who dress like Disney Characters may not pretend or imply that they are an official Disney Character. Creating lines or collecting money for pictures and/or signed autographs is not permitted. Costumes should not contain sharp objects, pointed objects, or materials that may accidentally strike another guest. Costumes should not contain any weapons that resemble or could easily be mistaken for an actual weapon. Guests who do not adhere to these guidelines may be refused entry into the event unless his or her costume can be modified to meet the above standards. The appropriateness of the guest costume will be determined by Disney in its sole discretion. In keeping with our family-friendly atmosphere, and for health and safety reasons, D23 Expo enforces a dress code. Proper attire must be worn at all times, including shirts and appropriate footwear. Clothing with rude, vulgar, or offensive language or graphics is not permitted at any time. Admission to D23 Expo may be denied if clothing is deemed by D23 Expo management to be inappropriate. Comfortable clothing and footwear are recommended. Pets are not permitted at D23 Expo, with the exception of guide, signal, or service animals (as defined by state and local laws). Photography and videography may be prohibited at select venues, screenings and presentations. For the safety, security, and comfort of our guests, selfie sticks and drones are not allowed at D23 Expo. D23 Expo is a non-smoking event. Smoking and e-cigarettes will only be allowed in designated areas. 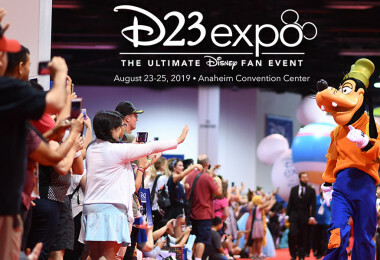 If you are interested in participating as a D23 Expo 2019 event sponsor and/or existing Disney Licensee please contact Chris.W.Taylor@disney.com. If you are not an Official Disney Licensee and are interested in participating, please contact Wendy.L.Eike.-ND@disney.com for information about a booth in the D23 Expo Emporium.